If you follow my blog or my Dad’s, then you’ve no doubt heard about how much we like clouds in the background of our plane shots or landscape shots or really any shot that has sky in the background. It really does make a big impact on the overall image. Well this is a bit more than we usually ask for especially since we were in Chino and this particular day it was almost 100 degrees out but there happened to be some ice crystals in the air which formed a rainbow affect in the clouds and they just so happened to stick around for quite a while. As the planes were going by occasionally they flew close enough to get some color in the background. Well it was these planes going by in these certain spots. Using a D4 and 200-400 VR, I waited for that right moment. 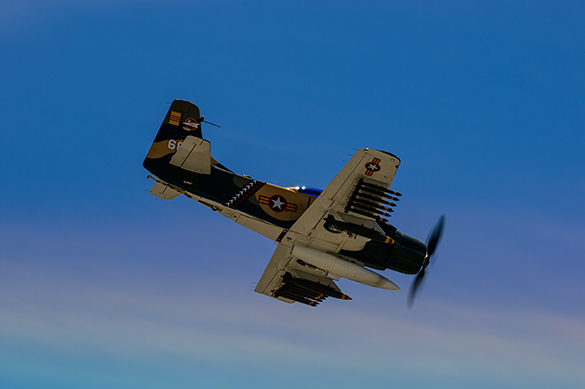 The A-2 Skyraider had the most consistency as it flew higher than most others. 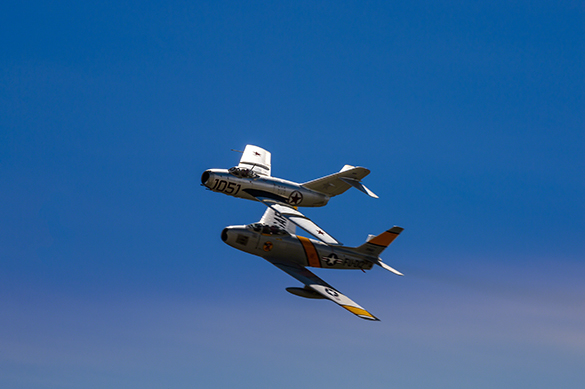 The Mig 15 and F86 Sabre were next best as they too were flying high at times. 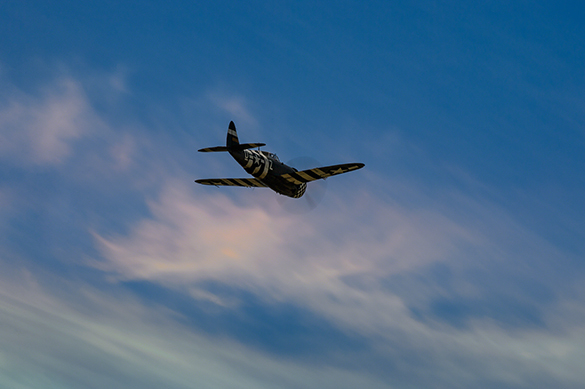 The true winner was the P-47 Thunderbolt. The four ship went right over the spot and then as they did their break a ways and single passes, old Snafu here, a P-47 bought from the museum in Duckshire, flew the best line through the best section and gave us that brief moment of joy.